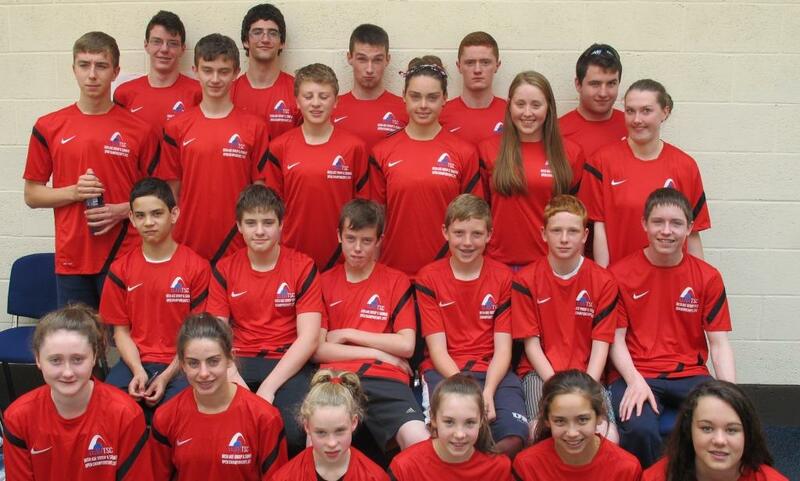 Today in the NAC saw the start of the new format Irish Age Group Division 1 & Summer Youth & Open Championships. TEAM TSC got of to a strong start with plenty of PB’s to kick off Day 1 of the competition. First event of the Day was the 200FC with 3 of the clubs younger boys first on the block as Finn O’Keeffe (12), Olly O’Toole (13) and Evan Rossiter (12) first to compete swimming solid opening efforts at this their first national division championship event. Their initial nerves were well put to bed as they get ready for the rest of a busy weekend of racing. The older and more experienced boys were led off by Cathal Tan (15) as he demolished his PB in a great show of strong pacing as he finished the event in 18th place and over 3 seconds inside his entry time. Tom Giblin (14) took almost a second of his recent D1 PB, as Stephen Herlihy (14) fresh from his recent qualification and success at Div 2’s took over 5 seconds off his existing 200FC PB, whilst Ruairi McCarthy (14) also delivered a 1.5 second improvement in his event. Our older men also delivered some strong Swims with John Martin (19) delivering the 2nd fastest swim of his career, to qualify for the final this evening but finished outside his earlier effort. Both Tiarnan Murphy (19) and Graham Field (19) were also outside their best FC PB’s but converted much better results to qualify for the finals in the 100BC later in the session, where both boys converted PB’s in the evening finals by some 1.7 and 2 second respectively. In the BC event also Stephen Herlihy (14) converted another Big 2 second PB, while Evan Rossiter (12) took a second off and Cathal Tan (15) was right on his best effort. In the Girls events Ellen Walshe (11) the teams youngest competitor got her weekend off to a superb start as she dropped 3 seconds in the 200FC whilst Muirin Goulding (14) smashed a full 9 seconds off her LC PB and Jessica Burke (12) opened her account with a fine sub PB swim also whilst sister Rebecca Burke (14) posted a strong weekend opening swim in her 200FC event. In the older girls events Alison O’Driscoll (17) posted the 2nd fastest swim of her career to get her weekend off to a good start while Niamh Murphy (19) delivered a solid heat to qualify for the finals where she too converted a new PB taking a full 2 seconds of her previous best. The girls success continued as the 100BC also produced some great new PB’s as Jessica Burke (13) was equal to her recently set best time, while Caoilfhinn Tan (13) smashed up her PB by over 1.5 seconds as Rebecca Burke (14) & Alison O’Driscoll (17) posted the 3rd best swims of their careers but just outside their best to date as Muirin Goulding (14) also smashed her existing LC PB by a massive 3 seconds also. In the final individual event of the day Sam Cosgrove (13) smashed his 200BF PB by over 4 seconds as team mate Tom Giblin (14) posted the second fastest time of his career in this new event for him. Ellen Walshe (11) led the way in the girls swim, qualifying for the final in her age group and smashing her PB tonight in the finals to finish in 5th place overall and still with another year in this age group. In relays tonight some huge RELAY PB’s were delivered as Older boys John Martin (19), Tiarnan Murphy (19) and Graham Field (19) worked well with Jason Cosgrove (16) in their team as Field posted a standing PB lead off leg, while all Murphy & Cosgrove posted Relay PBs with Martin finishing strong to bring the lads home. The younger boys of Tom Giblin (14), Stephen Herlihy (14), Ruairi McCarthy (14) & Cathal Tan (15) also posted a strong relay effort with Tan dipping under the magic 1 minute barrier on his leg, as did Giblin, whilst Herlihy & McCarthy both swam PB’s in their respective legs albeit from a flying start. To finish the evening the Girls of Muirin Goulding (14), Rebecca Burke (14), Caoilfhinn Tan (13) Jessica Burke (13) finished the night in style as Rebecca Burke led the girls to a strong finish with the 2nd fastest swim of her career as Goulding, Tan and Jessica Burke posting PB’s in their respective swims by 2 seconds each for Goulding & Tan and Jessica taking over 1.5 seconds of her previous best time. Day 1 was a good strong start for the team in this new meet format. Lots of PB’s and some great racing and the TEAM look forward to tomorrows events to continue on the same route..